[ronobvious] purchased a Ralink based USB WiFi adapter for use with Aircrack-ng. It worked well so he decided to add an external antenna connector. The connector from Linx Technologies that he chose is really what makes this installation clean. It’s a card-edge design so you just slip it over the end and solder the pin and ground leg. He’s got a link to Tobias Hain’s similar mod and Tobias has a link to a another antenna project as well. I could do with this. I have a ‘B’ standard Centrino lappie and am finding it a bit slow, with all the other computers on the network being ‘G’. So I could get a USB adaptor and do this mod, and get a good signal, with it being out of sight around the back. I can’t stand those PCMCIA cards which stick out so much and constantly flash. Does anyone have a link to the bluetooth antenna mod? I’ve bene looking ofr it but no one has it anymore. That looks (and I’m sure works) very nice! I was thinking of posting a hack similar to this for the USB netgear WG111v2 which has heat issues and could use a signal boost. I stripped off the bulky silver case on mine, coated the bottom with tough epoxy (to protect the components) added a thin, conforming to-220 transistor heatsink (1.5mm profile with bent steel “wings”) to the large hot chip on top and stitched on a panel antenna via inverted U. FL connector (the connector on the device is a female hirose/ U. FL , which is strange since most cards use male type connectors. I overcame this problem by sticking a small slice of a pin in the center of the pigtail. Unfortunately, the ~30ma output power is pathetic. 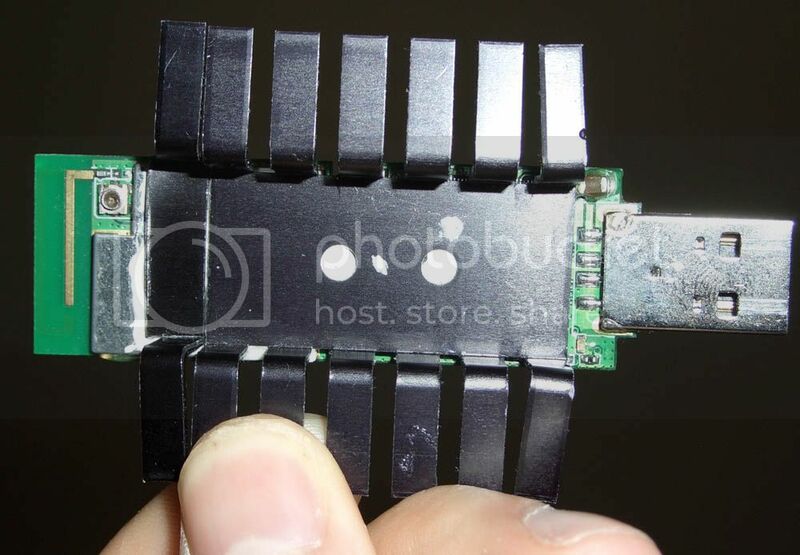 The epoxy and heatsink modifications will extend the life of any usb wifi adaptor, since heat and corrosion can only lead to entropic demise. The best part is, since the profile has been minimized, I can now fit devices in any adjacent usb ports. To attach the heatsink, use thermal epoxy throughout or a combination of thermal paste and regular epoxy (not necessarily mixed together). 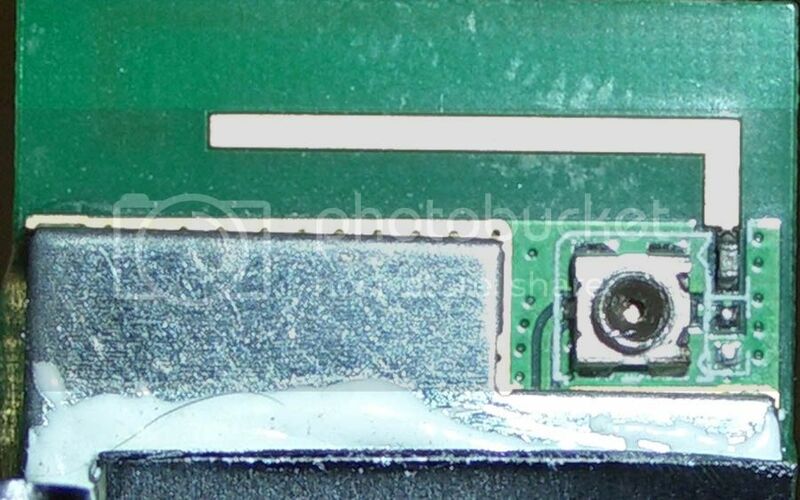 Do not put epoxy directly on the leads of any complicated looking ICs (ie, +28 tiny pins), since the tiny pF capacitance inherent in most epoxies can affect chip operation (this is not a concern for most chips, don’t worry about it). By the way, I meant 30mW, not 30mA. That’s what insomnia’s all about. will have to try this with Nintendo ds. sometimes its wifi reception is weaker than PC so could come in handy. Other then hiding the lights. I have a Desktop only, I’m assuming this is useless for PCI wifi cards with Male RP-SMA antennas, and female RP-SMA cards. Can anyone help me out? Perhaps a link? Scarslilpyro on xfire stat_padder@yahoo.com if anyone can give me some info, thanks. 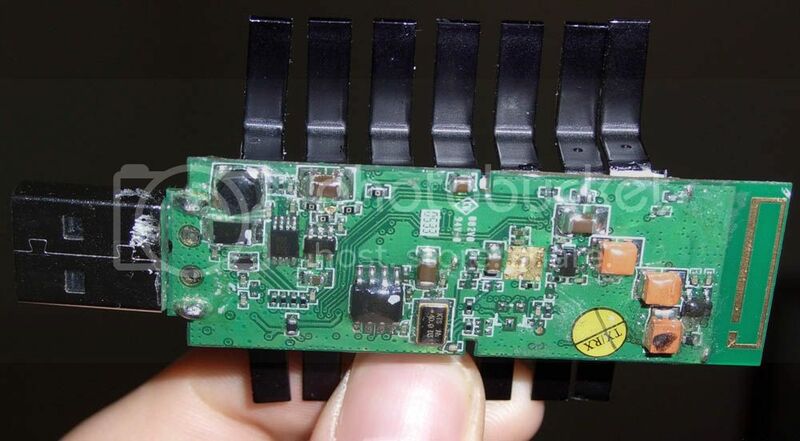 hi I WAS WONDERING IF ANY HAVE DONE THE EXTERNAL ANTENA TO A CNET CWD- 845 USB CARD THE BOARD CIRCUIT IS ALMOS THE SAME CHIPS ARE BUT THE WELDING PART IS DIFFERENT, THANKS. I figured out a WAY easier way to do this.